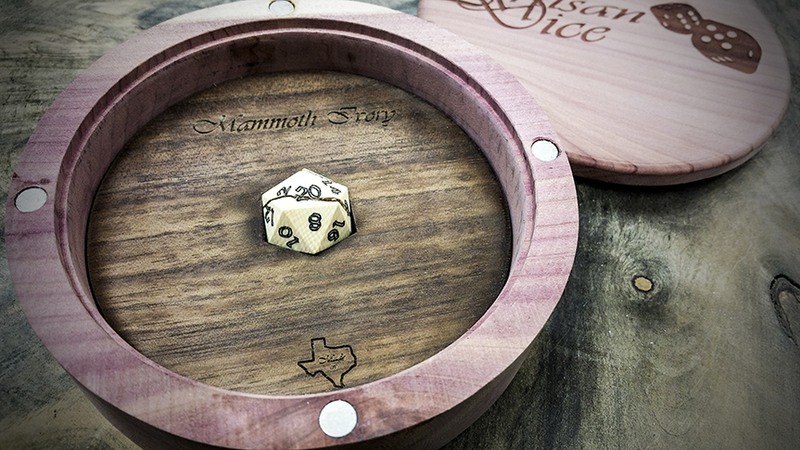 Artisan Dice has unveiled a limited supply line of mammoth ivory D20s. While dice obviously exist in other forms of entertainment, they hold a special prominence in the world of tabletop role-playing games where the roll of a dice can literally mean the difference between life and death. That in mind, it should be no surprise that many tabletop gamers like their dice to be special. Recognizing this, the folks at Artisan Dice have made it their business to provide gamers with the best polyhedrals crafted from nothing but the highest quality and rarest materials. Most recently, the company unveiled what could possibly be the most unique D20 ever made. What's so great about them you ask? Maybe just the fact that they're made from 10,000 year old wooly mammoth tusk. 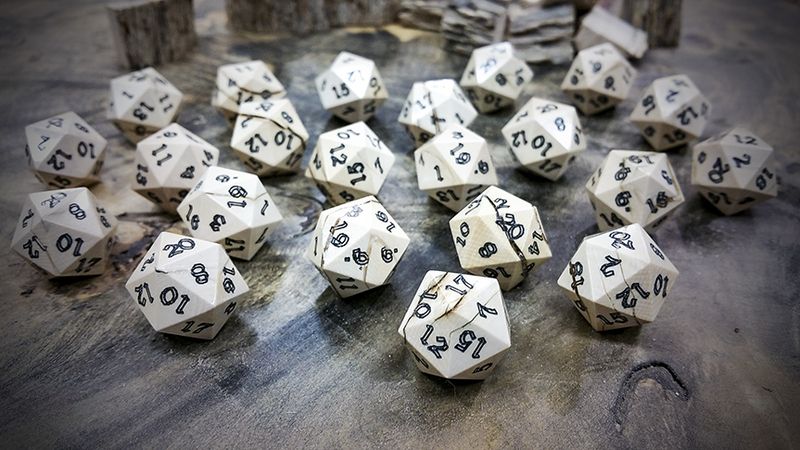 Responding to rampant customer demand, Artisan Dice unveiled its mammoth ivory D20s in a page on its website. "[Our customers] have been asking for us to make them since quite literally the very first day Artisan Dice was founded," explained owner Charlie Brumfeld. "It took us this long to locate a supplier of quality mammoth tusks." Complicating things further, once they did locate a supplier the company's dice crafters had to learn how to work with the tusks. "Mammoth ivory is easily machined, but our hand shaping process is more difficult as we have to use a number of grits to get the glassy finish we can attain with ivory." The process was also plagued by some unexpected difficulties. 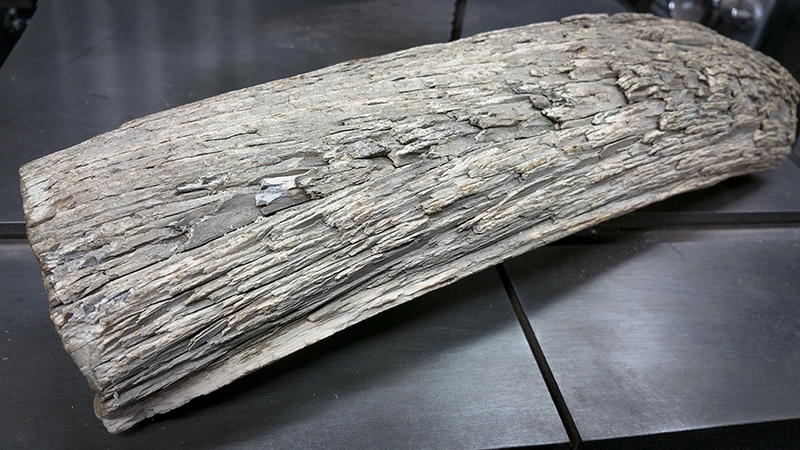 "The stench of mammoth ivory being worked is on an epic scale," said Brumfeld. "Thousands of years in boggy marshes does nothing to help in that regard." This kind of work, of course, doesn't come cheap. 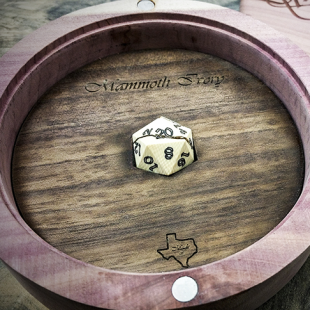 Gamers hoping to get their hands on even just one mammoth tusk D20 will have to pay a whopping $248. According to Brumfeld however, the price is worth it. 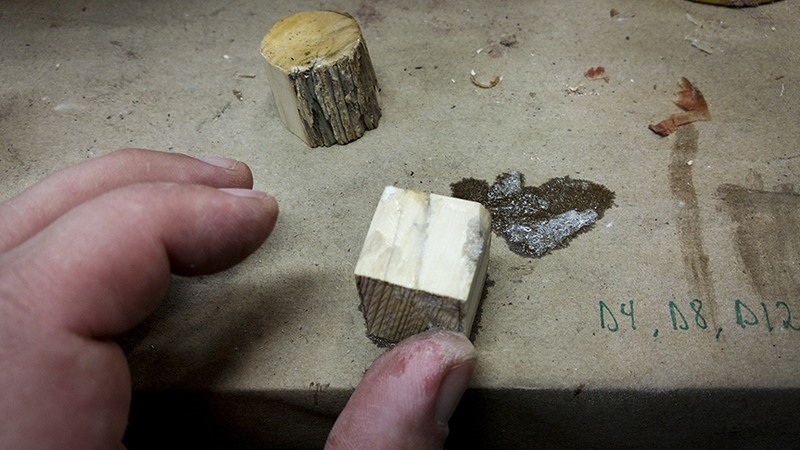 "We make this finest dice on the planet using the most exotic materials available," he said. After this, it's a statement that's kind of hard to argue with. Okay, I don't even play tabletop and still kind of want one... That is pretty damn cool. Ugh. Talk about having more money than sense. I mean, why would ya? I'd end up with too many fancy D20's. Why not I say! Hey, considering all the fancy jewels and precious materials that go into things we just put on tables and shelves, I say it's more productive to put it into things that we'll actively be using. So, I've got to ask... If they were actually selling you dice made of, say, horse bone, how would you ever know? Hell, if they were actually plastic, how many people would be able to tell? That, at least, you could probably tell with a glance under a microscope... But you could sell a lot of $250 D20s before someone thought to check. I really don't think i'd want to game with anyone who pays $250 for a dice. As long as it doesn't roll 1's all the time i don't care what my d20 is made of! I didn't know you could even find tusks from Woolly Mammoths. Considering their extinct shouldn't any tusks of theirs we find be put in a museum or some lab for studying? It's actually something of a complicated subject. Some scientists estimate there are actually millions of preserved mammoths in various regions of the world, so there's probably actually plenty to go around. Likewise, some also argue that ivory extracted from those helps degrade the market for elephant ivory which is good. Others however, think it just reinforces it. So yeah, tricky stuff. Artisan Dice isn't some fly-by-night organization, though; they have been working for years and already offer a ton of other dice made from stuff like gator jawbone, white marble, and carbon fiber. Technically they could be cheating people, but it's not what you would expect from them, especially when buying mammoth bone is pretty easy. It's just not worth them defrauding customers. OT: I kinda want one, by I'm also paranoid about the accuracy of my dice. I'd hate to drop $250 and find out that it's slightly unbalanced. Unless I can get a full set of Dinozord dice, but I bet genuine dragon dice will get expensive. What if they roll all twos? Extinct dice? Sounds unlucky, no thank you. I guess we found the ultimate way of saying "I'm a nerd with too much money on my hands"
You'd think they'd be more... Restrictive at allowing people to just start making all kinds of random things out of the tusks of an extinct animal. I wouldn't expect anyone to be making random trinkets out of dinosaur bones without at least some controversy, but apparently Mammoth tusk is no problem? Somebody's going to feel buyer's regret once they start getting haunted by generations of disgruntled mammoths. Would make a classy netflix series methinks. Somebody get on this. It has to be better than vampire diaries (or whatever is on tv now) at least.